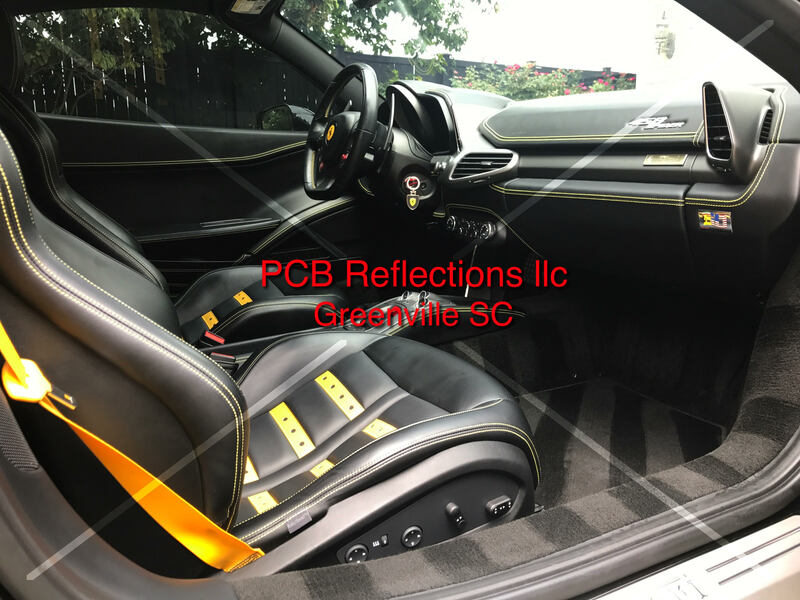 In the Greenville, SC area PCB Reflections LLC is highly regarded for their professional level of automobile protection, paint correction, and mobile detailing. We have many clients from all around the area that have received our protection packages and are committed to allowing us to maintain their vehicles. We provide professional level automobile interior detailing, automobile polishing, and ceramic coatings that go very well with our clear bra packages, so that the need for waxing is eliminated! Each part of our Maintenance Wash system is designed to maintain the luster of your vehicle and to prevent damaging your vehicles perfect finish. This process uses the most up to date methods and products to properly maintain your vehicle. We strive to prevent micro marring, RID’s and improper chemical exposures during our wash process. We also strive to prevent wheel, caliper, and brake rotor damage by NOT using acids. We do not use any type of silicon dressings on exterior or interior surfaces, Everything is polymer based with a high UV inhibitor. We claim to have the safest wash method available on the market. We have proven results with up to 4 years of weekly and biweekly washes on our customers vehicles that were first protected with our protective ceramic coatings. These same automobiles still look the part of a pristine kept used vehicle. By doing so we take pride in caring for your investment to show each of our customers that at the end of their ownership we are not a wasted expense that was being paid to damage your vehicle. 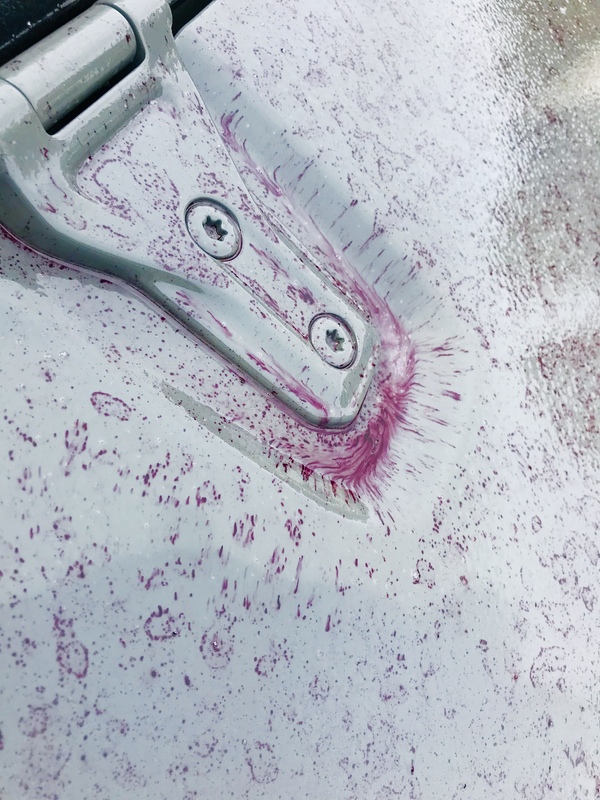 ⁃	The Vehicle is then evaluated to determine which of our 2 exterior wash procedures will best benefit your vehicle due to soil and contamination levels. This is done to prevent as much micro marring as possible and will be discussed upon arrival and visual inspection completed. ⁃	The Vehicle is either towel dried with the ultimate drying towel (the thickest, plushest, softest towel available) and a drying aid, or either blown dry depending on which wash method is used. ⁃	The interior plastics and leather receive a wipe down using a damp microfiber soaked in a polymer solution to add a little protection and encapsulate dirt particles. -Polymer Sealant (Wax) and 3 step Exterior Paint Decontamination to remove industrial fallout, iron particles, embedded dirt particles, and mineral deposits. Our Interior Auto Detailing service is a eco friendly no harsh chemical cleaning. We are equipped with commercial steam cleaners to properly clean your fabric, leather, plastics, and headliners. This steam cleaning process allows us to clean and sanitize your interiors without leaving chemical residue behind that would only attract more dirt and debris which will cause your interior to become soiled at a very fast rate. As for deep cleaning carpets we choose to utilize our commercial hot water carpet extractors to treat all of the fabrics your vehicle contains including seats and carpets. We take pride in being very knowledgeable on the different types of surfaces, fabrics and materials your interior consists of so that you do not have to worry with chemical exposure that will discolor, and break down and cause premature aging in your interior. We offer interior protectants to rehydrate and prevent UV damage and also liquid stains from harming your interiors after our Interior Detailing services have been completed. ⁃	For Automobiles greater than 8 passengers please contact us for a quote. *** Excessive Pet Hair, Heavily Soiled or Neglected interiors, Mold or Mildew, Smoke Odor Removal, are all subject to an additional fee.